Here you will find the source documentation for our Vardøger 6 (V6) range of hot- ends. Vardøger 6 is a J-type Hot End is of all-metal design and fully compatible with the market-leader. Developed and tested in the UK it brings together quality innovative components from multiple sources to give top class performance at a very competitive price. Source documentation is made available for makers and those wishing to design their own interfaces or modification kits for their own use. We provide a engineering drawing and STL file for each of the mechanical components that make up the Vardøger 6. Files in other formats maybe available please contact us for details. 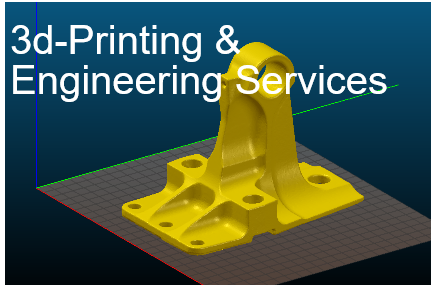 STL Files are published on Thingiverse under an open sourced (GPL) licence,These products have been developed from the E3D-V6 product range, which in itself is GPL Open sourced.